Yarn Type An exquisitely subtle, phased colour-effect yarn. Toscana comes in a palette of 6 truly beautiful, delicate shades, each one with a name inspired by the stunning region of Tuscany. 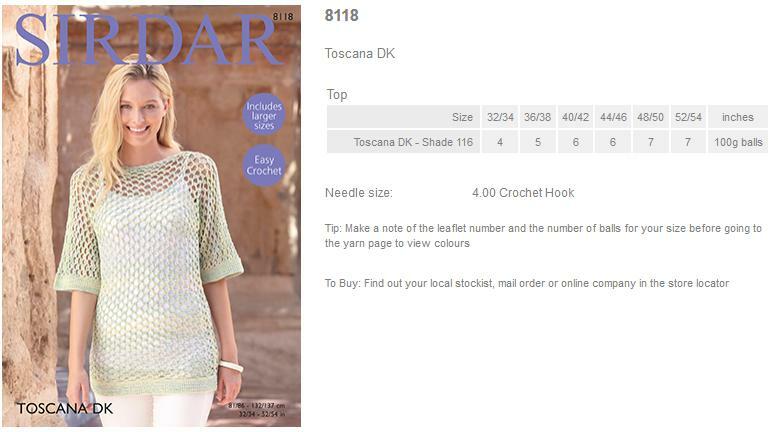 The Sirdar design team have used these gorgeous shades to design 6 leaflets with sophisticated designs for women. 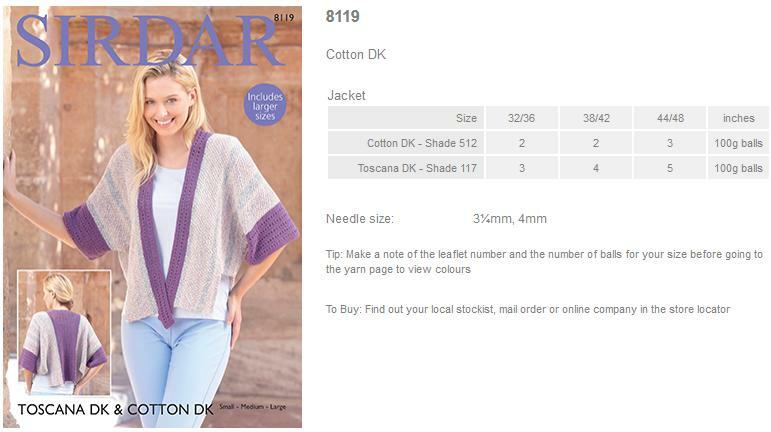 There are beautifully simple cardies, tops with stunning patterning and a cardigan with wrap over front that creates a breathtaking piece. These are designs that will keep you effortlessly stylish through the summer months. Warm wash, machine washable. 100% Cotton. 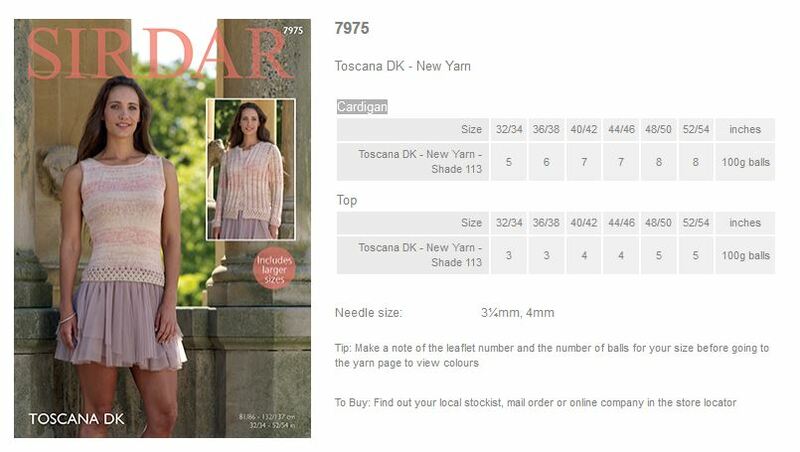 Leaflet with a designs for a Jacket using Sirdar Toscana DK. 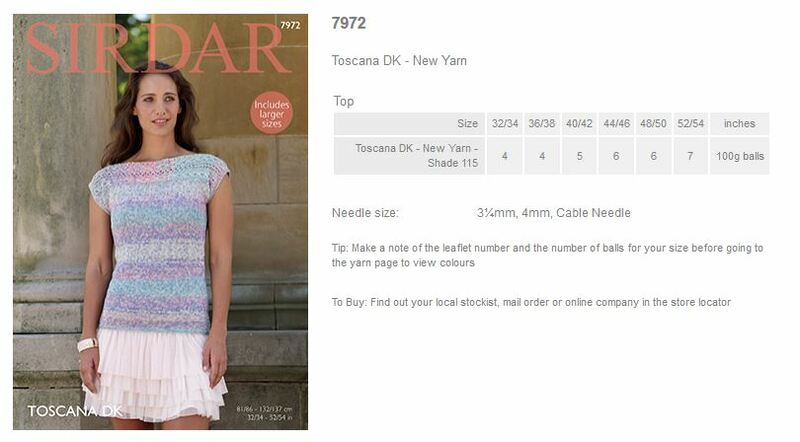 Leaflet with a designs for a Top using Sirdar Toscana DK. 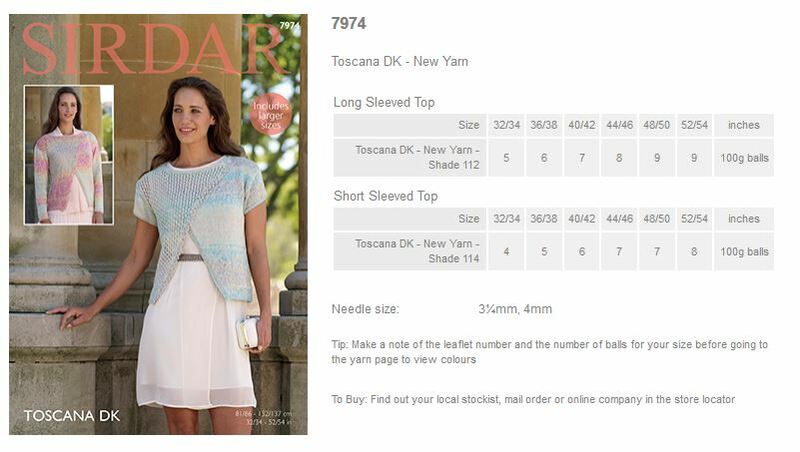 Leaflet with designs for a Top and Cardigan using Sirdar Toscana DK. 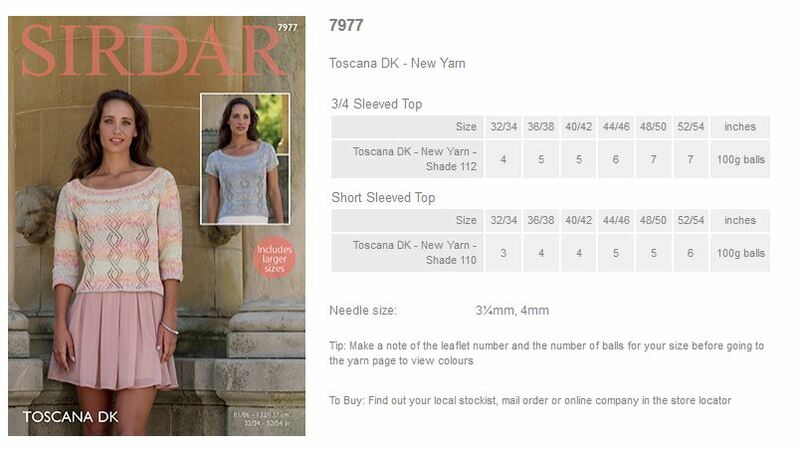 Leaflet with designs for Long and Short Sleeved Tops using Sirdar Toscana DK. 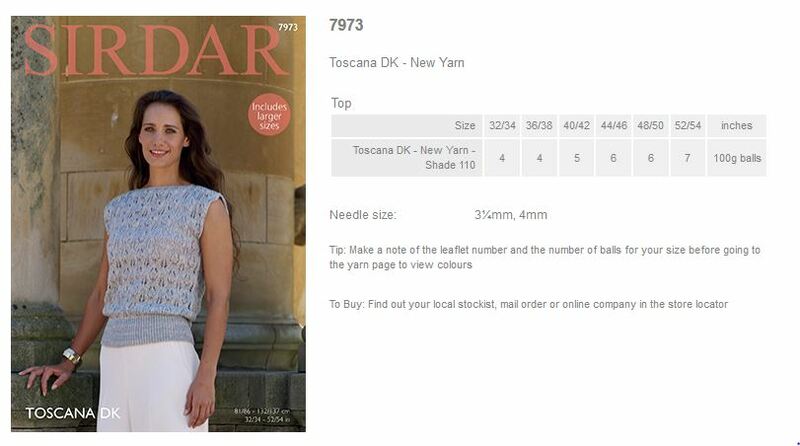 Leaflet with designs for a top using Sirdar Toscana DK. 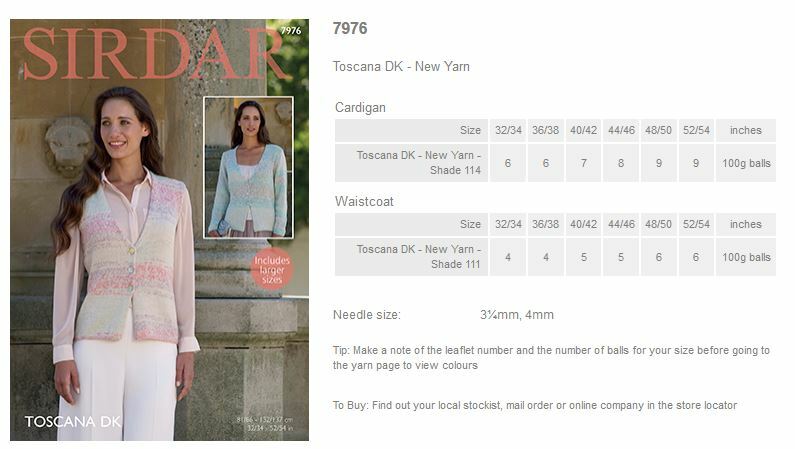 Leaflet with designs for a Long sleeved top using Sirdar Toscana DK. 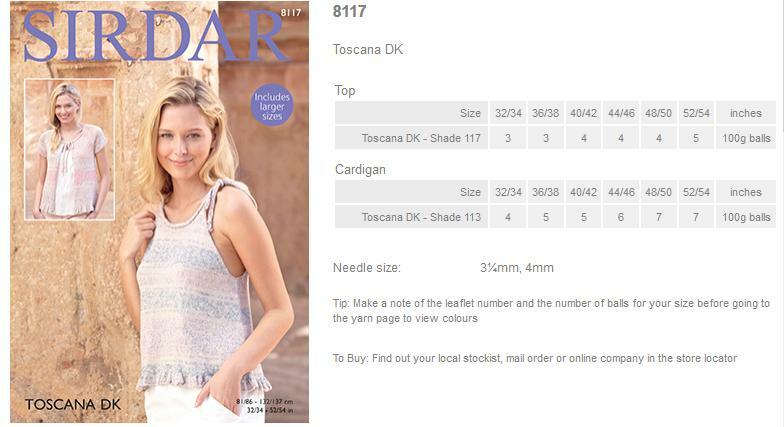 Leaflet with designs for a cardigan and top using Sirdar Toscana DK. 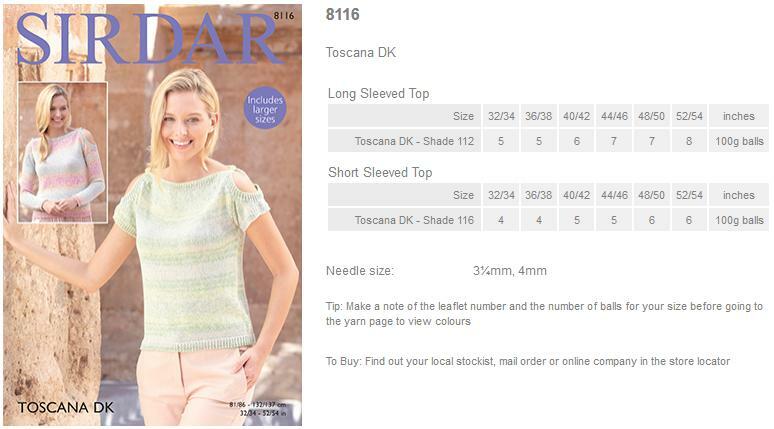 Leaflet with designs for 3/4 and Short Seeved Tops using Sirdar Toscana DK.